Workers comp is a system devised to compensate people who were hurt on the job without becoming tangled up in a personal injury lawsuit. Deciding whether or not you need a lawyer to navigate the workers comp process is one of the first decisions you’ll have to make on the path to getting the compensation you deserve. The workers compensation system is designed to be no fault, meaning that negligence (on the part of either the employer or the employee) is not what’s being examined. Still, securing your workers comp benefits can quickly turn into an ordeal if you aren’t prepared, and that’s especially true when your claim is denied. 1. Tell you if your injuries are really eligible for workers compensation benefits. Even if your case seems clear-cut, not all injuries are eligible for compensation. Work-related injuries cover a wide range of conditions and situations, from illnesses to sprains and from work-related parties to working out of state. 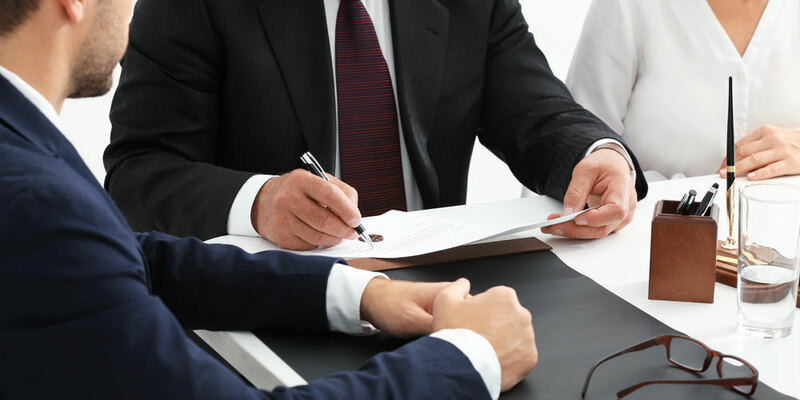 Rather than guessing wrong and wasting time and resources, an experienced attorney can advise you right away whether you have a solid case or not. 2. File your claim properly. Filing a workers comp claim is trickier than it sounds. Oftentimes, filing a claim means filling out multiple claim forms, which can vary from state to state. Professional workers compensation lawyers know the subtleties of workers comp law in each state, making sure your claim is filed accurately and on time. 3. Manage the appeals process. A denied claim might sound like a nightmare, but it isn’t the end of the world. Having an attorney makes appealing a denied claim much easier than doing it on your own. Sometimes the benefits you receive aren’t enough to cover the cost of your injuries or the time you’ve missed from work. A workers comp attorney can advise you whether to keep pursuing the workers comp claim, pursue a third party civil lawsuit, or both. 5. Explain other benefits to keep your options open. In many cases, workers compensation insurance isn’t the only form of benefits you can receive when you’re hurt at work—you might also be eligible for disability or unemployment benefits, too. Understanding how these others benefits may affect your workers comp claim is an important reason to consider contacting an attorney. Ultimately, the decision to hire an attorney is up to you. However, people with serious injuries or complicated cases often struggle getting the full amount of benefits they deserve, simply because the workers comp process is so complicated. When one mistake can set you back months in getting your benefits—or cause your claim to be denied—getting the right help is even more important. Hey I'm Hal, the founder of Davis & Sanchez. If you're looking for a workers compensation attorney in Utah, or a workers compensation law firm in Idaho you've come to the right place! Also, if you enjoyed this content please subscribe below for more. Do You Have a Winning Workers Compensation Case? Not sure if you actually have a case? No problem. Download our free PDF and find out if you have a solid workers comp case. The PDF is 100% free and will be immediately sent to your email inbox.